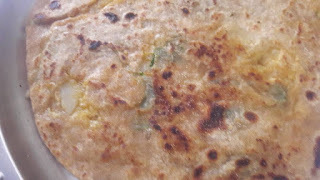 Calcium Rich Finger Millet paratha Combination of oats, raagi, veggi and methi leaves oats paratha . Serve hot with pickle, yoghurt or any sabji…. Add green chilly, salt and spice powders. (Coriander pow, turmeric, garam masala, chat Masala). Powder the oats in a blender.Take whole wheat flour and salt. Using warm water make a dough. Set aside for 30 minutes to an hour. Take a ball of dough and roll into a circle. Place the potato ball in the middle. Bring the edges together and pinch on top so the filling stays inside. slowly – slowly Flatten it. Roll into a circle carefully without putting too much pressure as that would cause the filling to ooze out. Place on tawa. Dry roast on the first side. Turn it over and apply ghee / butter / oil. When cooked a bit, turn over and apply little oil. I use a teaspoon of ghee for each paratha. 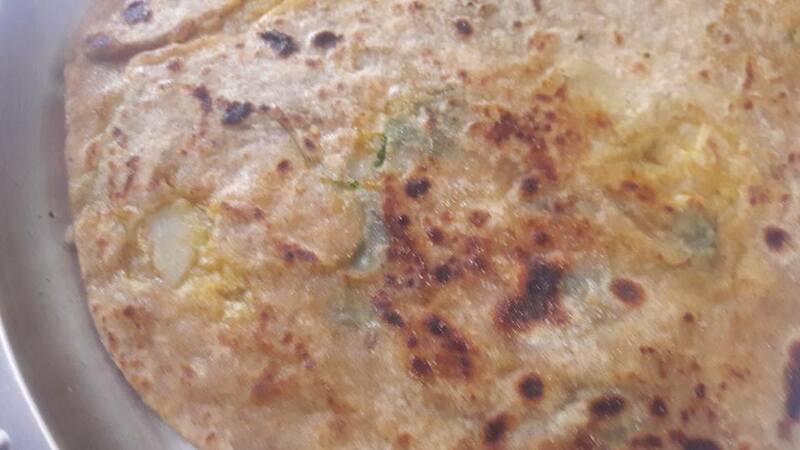 Flavourful, healthy n yummy parathas are ready.